Pressure Cooker Maple Dijon Mustard Pork Chops are a quick and easy pork recipe for your Instant Pot! You’ll love these tender, moist pork chops packed with sweet and savory flavors, and a slight kick of spiciness. An Instant Pot is one of the most popular brands of electric pressure cookers. They are easy to use and your Instant Pot can help you create this delicious Maple Dijon Mustard Pork Chops recipe! This month, we’re thrilled to share our newest pork chops creation with you! 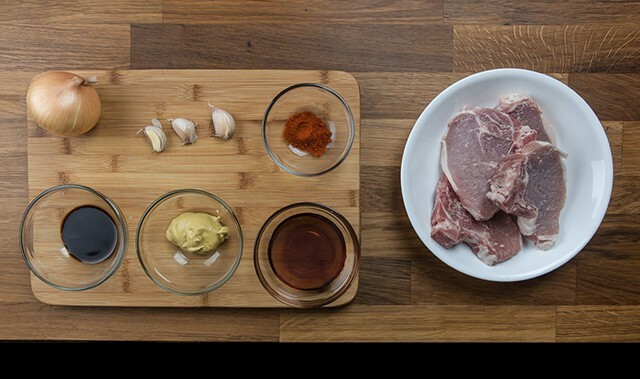 Pork chops are one of our go-to food, especially for those busy (or lazy…) weeknights. Quick, easy, budget-friendly, and flavorful. Tender Pork Chops: Since pork chops cook in a flash, it’s easy to overcook them in the pressure cooker. And who likes tough and dry over cooked pork chops? In order to save future pork chops from being over cooked, we did a little pork chops experiment. Yes, we pigged out on 5 batches of pork chops in a row (luckily there’s 2 of us), so we could find the optimal cooking time for the recipe. We found that pressure cooking at High Pressure for 1 minute, then a Natural Release gave the most satisfying result. Also, tenderizing the meat in Step 1 is important as the pounding breaks up the meat fibers. However, be careful not to over-pound the meat. Serve the pork chops with a side of fluffy pressure cooker saffron almond rice pilaf. Tenderize the pork chops with a meat tenderizer or Chinese cleaver. Generously season the pork chops with black pepper and salt. Brown pork chops with peanut oil for roughly 1.5 minutes per side and set aside. Sauté the onions for roughly 2 minutes. Add in the garlic and sauté until fragrant. Pour in chicken stock and fully deglaze with a wooden spoon. Add in maple syrup, Worcestershire sauce, Dijon mustard, and paprika. Mix well. Place browned pork chops back into the pressure cooker. Secure lid and cook at High Pressure for 1 minute + Natural Release. Open the lid and set pork chops aside. Taste and season the sauce if necessary. Slowly stir in the cornstarch mixture to thicken the sauce until desired thickness. Optional: Pour the sauce onto the pork chops and put them under a broiler for a minute. Check temperature: As always, be sure to check the meat's internal temperature to be at least 145°F, so it’s safe to eat. 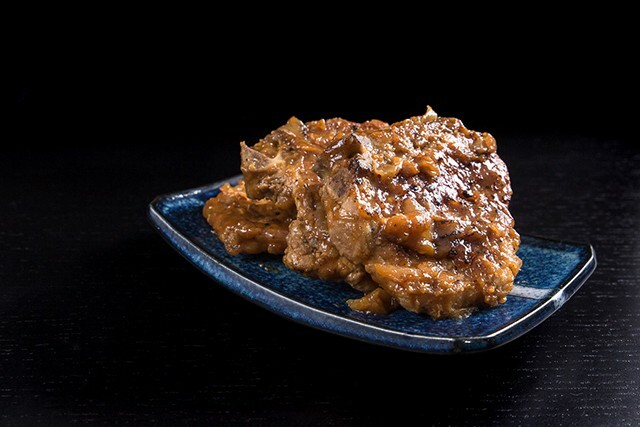 One of our Most Popular Recipes: Pressure Cooker Pork Chops in HK Onion Sauce Recipe – Tender & moist pork chops soaked in rich onion sauce. 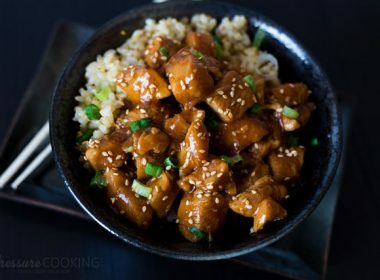 Your family (including kids) will love this sweet, savory & sour umami dish that’s super easy to eat! 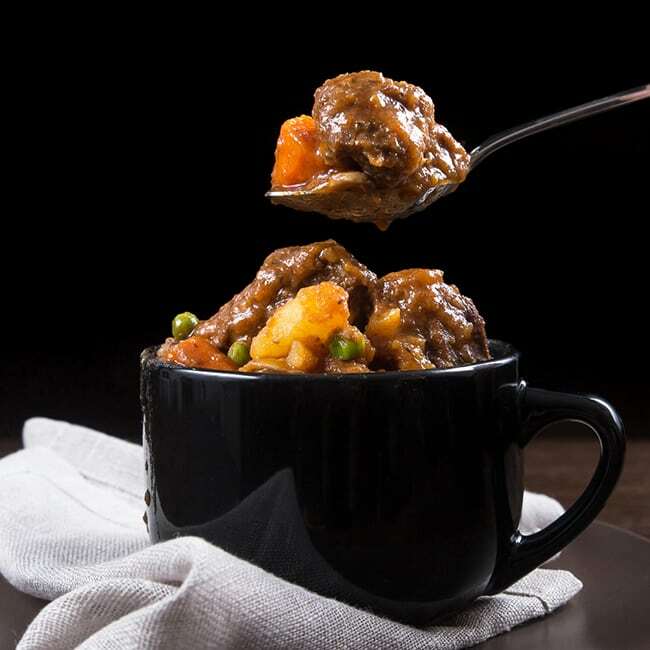 Instant Pot Beef Stew – Soul-satisfying classic American Beef Stew in ~1.5 hours. 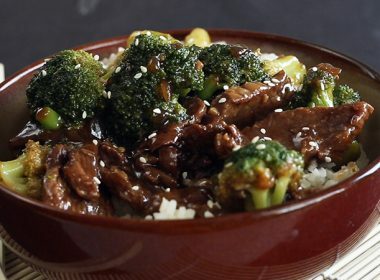 Tender chuck roast in a rich, hearty sauce. You brown them for 15 mins per side?? Won’t they be burned and tough?? I’m new to Instant Pot! And everyone stresses that you need enough liquid to form steam and get pressure. If you add 1/3 cup of stock and 1/4 cup of maple syrup you get just over half a cup of liquid. Is that enough or do you do this pot in pot? 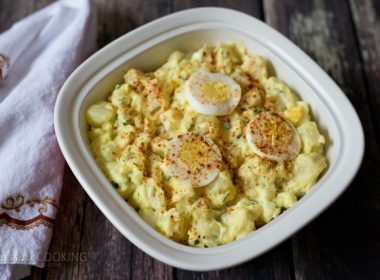 Help as this recipe looks great and I don’t want to burn it! I am using my 8 quart Instant Pot so that amount of liquid would hardly cover the bottom. Hi Nancy – you will need to add more liquid for an 8 quart pressure cooker. All my recipes (most on the net) are created for 6 quart pressure cookers. I would double the sauce recipe for your 8 quart. Enjoy! 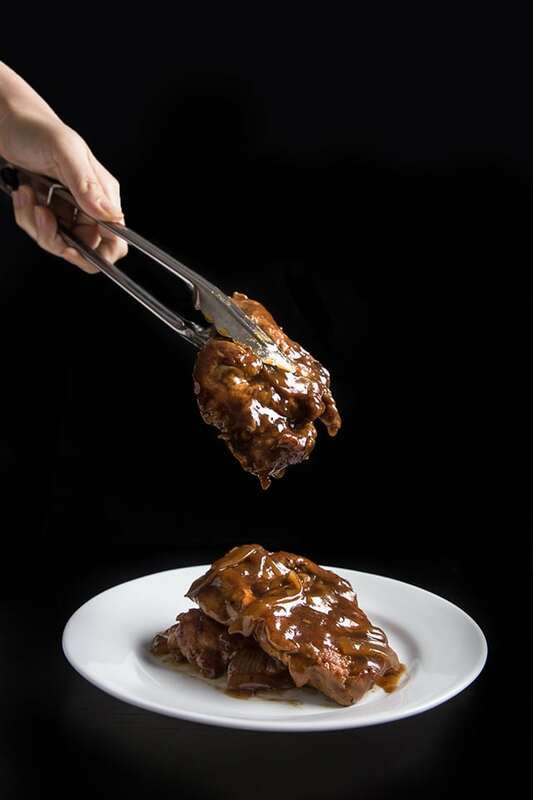 I have tried so many pork chop recipes that all claim to deliver moist meat. What they deliver are variations of dry. Then I tried your recipe and true to your word it was moist and flavorful. I had 6 boneless thick pork chops. Delicious. I thickened the sauce and pour it over the chops and was in heaven. Thank you for moist flavorful pork chops. Glad it was a hit Liza! This was the best pork I have ever had. WOW. This is going to become a regular recipe. Thanks for sharing this! I am sure to have enough room in my IP for 8 chops. If I double the recipe, how much time will it take to cook? Hi Nathalie – no need to change the cook time when you double a recipe unless the meat is twice as thick. Enjoy! This recipe looks amazing. Why only 1 minute to cook? is that because of tenderizing the meat? I see on your Easy Pork Chops In Mushroom Gravy you’re cooking the chops for 18 minutes. Is that because they’re thicker? Hi Beth – this recipe you’ll get a firm sliceable pork chip. The other recipe in the mushroom gravy the pork chops are fall apart tender. 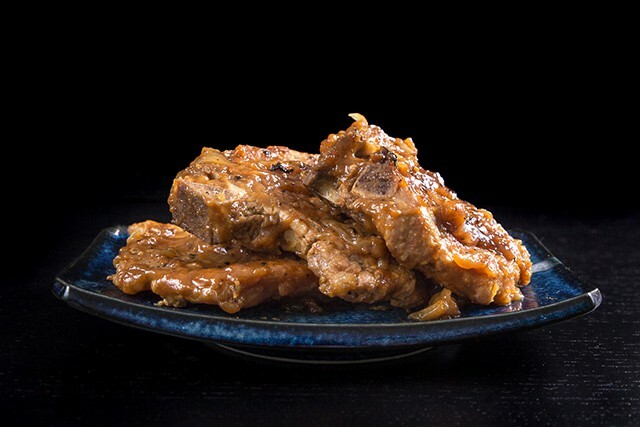 This is probably a really dumb question, but did you saute everything in the Instant Pot or did you brown onions and cook the sauce separately and only cook the chops in the Instant Pot? 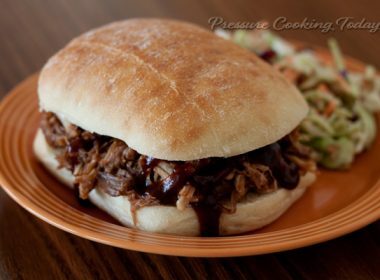 This is my first Instant Pot and my first attempt at cooking meat…:) Thanks! 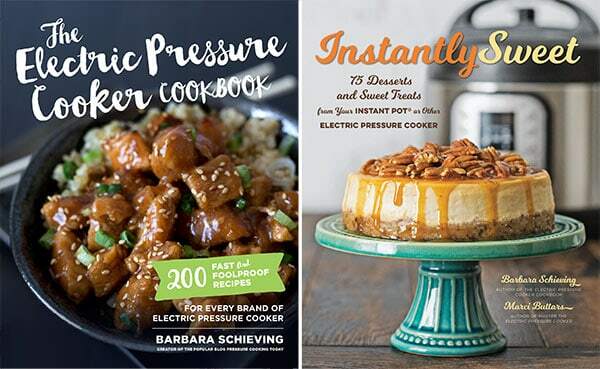 Hi Kim – yes, you can saute everything in the Instant Pot. 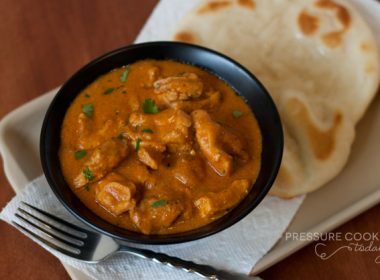 Here’s a video that will help https://www.pressurecookingtoday.com/video-use-instant-pot-ip-duo/ Enjoy! This meal was a hit with my family. Fantastic dish that we will have often. I am wondering if I should cook for two minutes as our pork is homegrown and can tend to be a bit chewy. Sounds like a perfect recipe! I am anxious to try these. Would the 1 minute cook time be sufficient for the thicker boneless pork chops like Costco sells? I estimate they are maybe 1 inch thick. 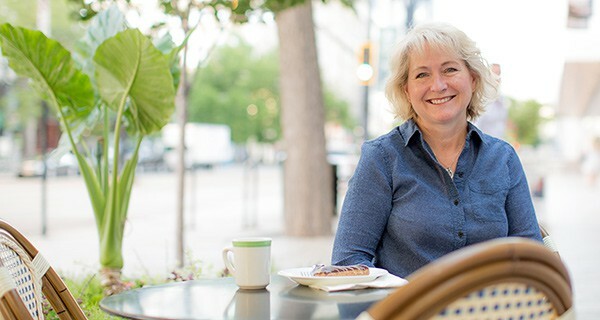 Hi Linda – if they’re thicker than 1.25 inches than you’ll need a little longer time. What setting would I use for a power pressure 10XL? Hi Gloria – I would use the canning setting since it has the highest PSI and the cook time in this recipe is so short. Enjoy! Just got my IP and tried this recipe! Everyone loved it! Thanks! I made your maple Dijon pork chops in my instant pot tonight. It’s only the second thing I’ve made and I seriously did not think the pork chops would be done in one minute but decided to trust the recipe! They were delicious! I will definitely make this again! Thank you! What is a good substitute oil for peanut oil. Peanut alergies in my home. I would substitute vegetable or canola oil. I used vegetable oil as I also have allergy issues. It worked fine. What can I use instead if Indon’t own a meat cleaver? Any heavy object will work okay! A meat tenderizer, mallet, or even a rolling pin. This recipe explains why I have not had good luck with pork chops in the pressure cooker yet…. WAY over cooking them! I will have to try this method as I have tons of pork chops in the freezer from a pig we purchased!! Made this last night and it was so easy and tasty. Served with loaded mashed potatoes and couldn’t get enough of the sauce. I plan to make a shepard’s pie type thing with the leftovers. Hi Amy and Jacky…you know, I’ve made pork ribs, pork roast and pork shoulder in the pressure cooker but never pork chops. These look so tender and delicious-time to give chops a go!